The 2017 legislative session was a difficult, defensive session for transit. None of the Legislature’s transit advocates expected this after the unequivocal mandate for Sound Transit 3 in November 2016, but the combination of MVET sticker shock and inaccurate vehicle valuations forced us into difficult positions as we fought to fulfill the promise of a regional transit system. The battles often felt like losses at the time. But thanks to the intransigence of Senate Republicans dead-set on damaging Sound Transit, and the end of wasteful sales tax exemptions, we ended the session with more funding for core transit services, not less. The debate over Sound Transit’s Motor Vehicle Excise Tax (MVET) authority was one of the most challenging parts of the session. Our exceptionally difficult vote disappointed many transit advocates back home. But by constraining that inevitable debate to a rational but hard bottom line, we managed to end the session with more wins for transit than losses. The House passed HB 2201, which required that Sound Transit revise its MVET collections to reflect the vehicle values adopted by the 2006 Legislature (RCW 82.44.035), instead of the earlier valuation table from the 2015 transportation package. HB 2201 passed the House twice in a bipartisan 64-33 vote, including a “yes” vote from every legislator who represents the Sound Transit district. The Republican Senate passed SB 5839. Rather than use RCW 82.44.035, it required the lower of either Kelley Blue Book values or the National Automobile Dealers Association (NADA) values. The catch is that a government agency cannot issue bonds against a revenue stream that is determined by a private party. The House bill used RCW 82.44.035 so it could still be bonded against – and the Senate used proprietary valuation schedules because Sound Transit couldn’t bond against these streams, impairing project delivery. Their bill also cut Sound Transit’s MVET authority from 1.1% (up from 0.3% before ST3) to 0.5%. 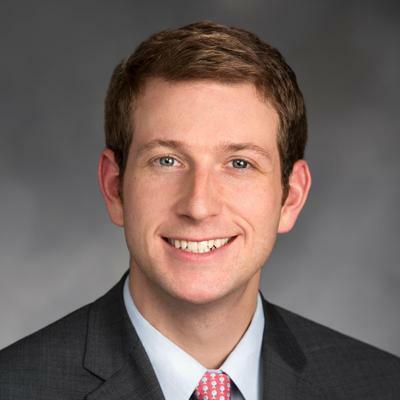 This expressly sought to overturn the will of 717,000 voters in central Puget Sound, 54% of the total, by forcing drastically lower revenues and making the completion of the regional transit system impossible. This bill passed three times in a strictly partisan 25-24 vote. It only passed because of overwhelming support from eastern Washington Republicans whose constituents were unaffected by the ST3 MVET. 1. Even representing a district that overwhelmingly supported ST3 (59%) and will enjoy one of ST3’s marquee projects, I heard from a huge number of constituents alarmed by their new car tab fees. Some of this was sticker shock, but many had legitimate concerns when they received a car tab bill and saw that their car’s assessed value was unambiguously more than they knew it to be worth. Many House Democrats were concerned about this as a fairness issue. It is not accurate that legislators were unaware of the different valuation tables (indeed, even the Republican Senate defeated Sen. Ericksen’s amendment to the 2015 transportation package to reject the valuation table that Sound Transit ended up using). However, I was surprised by the vehemence with which my constituents rebelled against the higher valuation table in the law. 2. The lost revenue for Sound Transit from HB 2201 was estimated at about $78m per year. The lost revenue from SB 5839 would have been roughly ten times that. It was clear to pro-transit House Democrats that a bill without our support had the potential to contain a greater revenue loss than HB 2201. We made sure, in supporting the bill, that HB 2201 was a take-it- or-leave- it offer. The House would reject any bill that lowered the MVET rate below the voter-approved rate, required a valuation table that precluded selling bonds, or that cut revenue below what HB 2201 did. The House adhered to that promise, which wasn’t enough for the Senate. 3. The other condition of our support was to prioritize the completion of the regional light rail system. Legislators from end-of- the-line districts like me, including members from Tacoma, Everett, Ballard, and Kirkland, wanted to do everything possible to ensure that the MVET bill did not impede the completion of light rail promised to our districts in ST3. So we included a provision requiring that if Sound Transit had to cut any projects as a result of their decreased MVET authority, light rail projects would be cut last, and parking projects would be cut first. None of us were thrilled with this prioritization, because there are worthwhile parking projects in the package. However, the priority for us is the completion of the regional light rail system. The Senate refused to budge from their position that the voters were wrong to approve ST3, and the House refused to budge from our position that any changes beyond the valuation system went too far. We also refused to consider bills that politicized the Sound Transit board by making it directly elected. As noted earlier this week, the revenue package that helped balance the budget, HB 2163, included the requirement that online sellers collect sales tax just as brick-and-mortar retailers do. Also known as the Marketplace Fairness Act, this change will generate substantial new revenue for sales tax-dependent transit agencies. This comes both from new collections from online sales and growth in brick-and- mortar retail sales from a level playing field. Sound Transit alone will raise about $40m in fiscal year 2021 from this change; King County Metro will raise $18m; and many smaller agencies will raise smaller but still meaningful amounts of money, that can go into reserves to protect against a future downturn or, optimistically, into service expansions. HB 2163 also removed the sales tax exemption on bottled water. We don’t yet have district-specific numbers on the new local sales tax generated by ending this exemption, but it’s about ten percent of the revenue from the Marketplace Fairness Act statewide and probably a similar increase for transit agencies. Finally, SB 5883, the state operating budget, included a provision requiring that the Department of Revenue renegotiate its sales tax collection contract with Sound Transit, a hit of about $6.5m per year. Fortunately, we caught this provision in enough time for Rep. Jake Fey (Tacoma) and I to ask Gov. Inslee for a veto, along with organizations including Transportation Choices Coalition, the Washington State Labor Council, and King County. I was very gratified to see, again, that the governor cares about the completion of our regional transit system. He did the right thing and vetoed the section. Many other transit issues flew under the radar. The transportation budget invested $58m in regional mobility grants, with a greater rural focus than in past budgets, including $1.2m for Clallam Transit to buy two electric buses; $300,000 for Grant Transit to run express buses between Moses Lake, Ellensburg, and Wenatchee; $3.2m for a park & ride in Chelan County; and $222,000 for rural bus service in Wahkiakum County. Some urban priorities were funded as well, including $5m for Delridge/Burien RapidRide; $1.7m to increase service on Metro Route 101; $7m for Swift Green Line; and $600,000 for Metro to make spot speed and reliability improvements. Nothing major happened legislatively on the urban density front, although we approved $600,000 for a collaborative process to identify improvements to the Growth Management Act. Provisions in SB 5254 will reduce barriers to upfront SEPA review for transit-oriented development projects and add new requirements to urban counties’ buildable lands reports. Transit advocacy will never be easy in Olympia. In much of our state, especially outside of urban centers, transit is perceived as an expensive social service, rather than critical infrastructure that enables our cities’ economies to function. Concerted and sustained advocacy in favor of robust transit choices has the potential to make a difference and the positive transit outcomes in the 2017 session shows that it has. Rep. Fitzgibbon, a Democrat, represents the 34th District (West Seattle, Burien) in the Washington House of Representatives. Thank you, Rep Fitzgibbon, for a very clear and complete report of what looked like a catastrophe for ST3. Lynnwood Link still isn’t out of the woods, but perhaps the Federal grants will be similarly rescued. And thank you for your strong advocacy for transit. A fairness issue is when House Democrats send something for approval to voters without doing their research and then say they sent the wrong package. We knew what we were voting for, please stop attacking our car tabs. I’d approve ST3 again in a second with its “inflated” values. More money=faster timelines. OK if you, “refused to consider bills that politicized the Sound Transit board by making it directly elected”… how about you consider bills that depoliticize school boards and port districts and fire districts by making them federated or appointed? See what I did there? I’m sure the WEA – for starters – would have a very angry reaction to making school boards not directly elected. Patriotic people support directly electing transit board members. Fans of transit do too. [joe!]. People who want ST3 faster and at lower cost. Joe, there’s little money to be raked off by school board members. Sure, you get ideological religious loons, but in a place as.well-educated as Puget Sound, people won’t buy their snake-oil. So there’s little harm likely to be foisted on society. Most port authorities are sloughs of rampant insider corruption. Seattle’s apparently is not, probably because it runs the airport, which nearly everyone cares that it be well-run. Sound Transit has a HUGE piggybank just begging for plunder. An elected board would be full of well-funded flacks for construction contractors, concrete suppliers, and simplistic-“solution” con-men. I’ve never been a fan of electing school boards or port commissions. The elections definitely politicize school governance and port governance. Fire districts, maybe not so much. School boards bring instability, as school bus contractors seem to get fired every time the school board ideological majority shifts. Other methods of selecting a superintendent may have inherent instability, too, but elections don’t seem to bring out the best and brightest experts on education or port management. I’m game, for the exact same reason that transit boards shouldn’t be directly elected: special-purpose districts require domain knowledge and specific skills to operate a particular part of government. The voters lack sufficient data to perform reasonable oversight. Our general elected representatives should have that responsibility to us. They have the duty to run overall government efficiently and that means supervising all major pieces. Hierarchies exist for a reason. You also unintentionally undermined your own argument: that the Port of Seattle board is elected is the best possible example I can come up with to NOT elect the Sound Transit board. I agree. I fail to see why the Port of Seattle isn’t simply a department that reports to the County executive & has its budget set by the county council. It made sense 80 years ago when literally building a port was too big of a project for most counties governments, but today running the airport is of the same scale as running Metro. Same for school districts – they make sense in rural settings, or suburban settings when the municipalities are rather small. I would support merging the school districts with the municipal governments for larger cities, from Seattle down to a MI. No kidding. If I were assigned the unenviable task of building a plausible case for an elected ST board, I’d be careful to never, ever mention the Port of Seattle. Meh, a directly elected board member, seeing the political toxicity of Ron Kubly and the STB horde’s support for Ballard to UW (instead of the SDOT proposal) and BRT to West Seattle— after all, both would be cheaper and faster than what we have now. Are you OK with that Joe? What if I move back to Marblemount and get the ex-helicoper-logger vote? Old guys whose work injuries always hurt always vote extremist. Could be even worse than when Bob Hasegawa takes a leave of absence! And since Kemper Freeman and I radiocarbon-date to same eon…for old time’s sake I can give him my old AutoCAD drawings with enough detail to show possible concrete fractures in, say, a floating bridge. So let sleeping Tim Eyman-employers lie, Joe. You’re already top transit lobbyist in the State! When incumbent Transportation Secretary ends up equal-distance from a coal train and an oil-train before head-on collision, Alex Tsimmerman will be badly needed moderating influence. You’re too optimistic. That’s *IF* transit-network experts get elected. People who want lots of P&Rs and 30-mile extensions obviously won’t vote for them. ST put together the package that had the best chance of passing, or they wouldn’t have proposed it. Meanwhile our ELECTED legislators were deciding between cutting the toes off ST3 or cutting an entire leg. Well at least most of you are ideologically consistent. Props to you for coming forth and showing your true colors. I like that. I truly do. Because if we’re going to have this conversation, then we need to ask ourselves if perhaps we should go the other way. Of course I’m going to say no. At least you had the guts to say yes when I called you out on it. Now I think transit boards are for transit fans. People who call KVI and [joe!] instead of play Eyman games – 4:42 of http://kvi.com/podcast/carlson-kirby-july12-9am-hour . People who live and breathe this stuff. People who believe Ballard to UW and BRT to West Seattle might be best… problem is [joe!]. Now I don’t feel represented by my rep on the Skagit Transit Board. I also think some of us regular commentators like I as the statewide rep would do an awesome job on the Sound Transit Board. It’s an ideological thing. Understand that, you understand my position. If you went by direct vote, the Sound Transit poll had Ballard to UW beating all the other Ballard light rail options. It was SDOT’s proposal (Ballard to downtown through interbay that carried the day). On this blog, the idea of West Seattle light rail has never really been defended in and of itself, just as politically necessary/expedient (see Seattle Subway responses in its facebook page and its comments here). Ross B. eloquently made the case for West Seattle BRT– are you saying he isn’t a transit fan? So, tell me Joe, as an elected represented of ST, what would you have done (given your desire for speed and low cost) to control ST 3 projects for Seattle? mdnative, actually I wanted Ballard to UW over Ballard to South Lake Union and West Seattle. I suspect serving West Seattle is favortism for reasons internal to Sound Transit HQ. One problem is that the less Seattle/North King Subarea could spend, the less the other subareas could spend. Which could mean no light rail to Paine Field and then the Snohomish Subarea board members nuke ST3 (over my perception BRT to Paine Field and light rail to Everett Station made more sense). mdnative, I’ll gladly defend light rail to West Seattle as a good choice on it’s own merits. Due to limited access to the peninsula via congested bridges, West Seattle is a prime candidate for high capacity transit running in dedicated right-of-way. And since that requires a new bridge, light rail is the clear choice over BRT because the cost is not appreciably more and a light rail bridge is less susceptible to being commandeered for private vehicle traffic. Ballard-UW should absolutely be a priority going forward, but don’t sell West Seattle short. I do understand your position, Joe, and appreciate your fervency about it as you have clearly thought it out. On the other hand, the chance that in a region the size of ours only has pro-transit wonks like you, or Mike, or Mark, or Oran, or… (you get the point) running for offices determining where billions of dollars get spent is miniscule. We’ve already seen the attempt by moneyed interests to stack the state Supreme Court with their people; it would certainly happen at the ST board level. There’s too much money involved. (And, as mentioned above, anyone who has followed the Arena saga will tell you that the Port is not the best example for an elected board being above underhandedness and dirty politics, not without a whiff of corruption.) For those reasons I respectfully disagree with you. Your passion and involvement are always inspiring, but impugning the patriotism of those who disagree with you is beneath you…far beneath you. #1. Thank you. I get post-Citizens United the concern and accept it as legitimate. Right now reading Sharyl Attkisson’s book “The Smear” as well. So yes, well aware that Big Money is in politics and that a lot of transit advocates & transit staffs are still in shock at this post-ST3 world being built around us where we’re in a permanent campaign and playing defense. No question Transportation Choices Coalition needs more support and growth from us. Folks, we’re just going to have to embrace the fact we are in a permanent campaign for transit and take our flag onto opposition territory. That will weed some people out and I’m sorry they’re going or gone or intimidated by me; but the right wing conspiracy knows we don’t ALL fight like the Legion of Boom or Shefali or me yet and I’ll leave it at that. #2. You can just tell I’m a softie in the “tough love” camp that want to reform Sound Transit from future Seattle Mayor Jessyn Farrell on the left to State Senator Steven O’Ban on the right. Me personally, I am in full outrage at Eyman’s initiative. Reform is one thing… this I-947 is decimation. This I-947 thing could really create a mobility disaster for Paine Field (add the factories & subcontractors, then the light rail terminus, then the museums and then the commercial terminal all into one big fatso congestion mess in Tim Eyman’s backyard), strand light rail short of Tacoma and pit West Seattle against Ballard. #3a. My deepest concern to be honest is yes, we get the transit boards elected. But we are definitely going to see at least one concerted attempt to put the wrong mentality on these boards. The kind of mentality I spent 15 minutes debating on the Washington Policy Center Transportation Pundit’s FB page where the individual called me a “Commie”, dropped the F-bomb on me, drank the ETA kool-aid, and ignored two factual info charts from Commute Seattle & Seattle Subway. But I have absolute confidence when we get these… Fourty Whiners onto the hot studio lights, they’ll melt like wax. #3b. Hell, Washington Policy Center’s transportation pundit won’t publicly commit to run for transit board – make sure to mention that at full volume. No, do. Scream it from the rooftops, in the state legislature and in the online comment threads if you’re so opposed to electing transit boards… for intellectual honesty’s sake. #4. At least this week we had some intellectual honesty in these threads about where we stand. I again appreciate that. I think that’s American. What isn’t to me is denying folks a vote on a matter of community/state unity. Thanks, Joe, for the excellent response. Although we may disagree at times on the methods – and sometimes the means – I’m glad you’re out there working hard on these things. You’re to be commended. Joe, you have directly-elected representatives who can push legislation to make the Skagit Transit board directly elected, and a directly-elected board of commissioners to support making it happen. You might get better results getting a directly-elected Skagit Transit Board if you focused more on getting a directly-elected Skagit Transit board. As it is, there are *zero* transit advocates who live and can vote in the Sound Transit District who are asking for a directly-elected ST Board. To be perfectly honest with everybody at STB, that’s the message I’m getting from the right & the left & the center. The fight for an elected Sound Transit Board might be better if the local boards were elected first. I wonder if your 19th District Democratic colleague Brian Blake was at all surprised by the vehemence over the car tabs in Aberdeen? Let alone its Presidential vote last fall. Might correlate perfectly with percentage of constituents who’ve got to choose between car tabs and groceries. Since 1970, my whole adult life, the mind of the Democratic Party at its highest levels has sighed and resigned itself to the idea that these people will never again earn a paycheck that a rise in license tabs won’t dent. Luckily, from your picture, you’ll live long enough to fix that. Easily, within the projected lifespan of ST-3. So I’m going single issue on this, Joe. In order to get me out of their offices, your fellow office-workers Laurie Dolan and Beth Doglio (D-22nd) desperately need some help getting Sounder ten minutes across the Duwamish from Dupont to Lacey next year. Since Amtrak already goes to Portland, track and switches should hold it. ST Express past Capitol can replace the empty 592. Special free Legislative ORCA card won’t even have to be “tapped” to avoid a $124 fine……. I wonder if your 19th District Democratic colleague Brian Blake was at all surprised by the vehemence over the car tabs in Aberdeen? What the heck are you talking about? To state the obvious, Aberdeen has nothing whatsoever to do with any of this. Whatever car tab fees they pay there obviously have nothing to do with the ST III taxes under question here. Do their representatives not vote in the Legislature? I assume that they do, and though I don’t know what specifically Mark is discussing regarding Rep. Blake, he and every other member of the Legislature has a great deal to do with ST and its funding mechanisms. I’m not a huge fan of that since, as you say, Aberdeen (and Wapato, Washtucna, Usk, Morton…) have anything whatsoever to do with this, but so long as ST’s authority is granted through the state they most assuredly will. Anybody with a modicum of fairness would see the inherent problem with people who aren’t affected determining the futures of those who are – particularly when the people who are affected approved it at the polls – but an entire political party and several members of the other one apparently don’t much care about what is fair. You see, in our post-democracy world, majority vote sometimes has little meaning, and our friends outside of the metro area certainly enjoy their representation (on Seattle-area issues) without taxation. I don’t recall that being why the tea was dumped into Boston Harbor – seems to me it was the other way around – but there you have it. Rep. Fitzgibbon, I appreciate and thank you for your time and explanation of what occurred in the Legislature. It does because of Eyman’s new initiative. While I’m still alarmed that a some loud squeaky wheels were all it took for many transit-supportive Democrats were willing to cavalierly blow a medium-sized whole in the ST III budget, in defiance of wishes of the overwhelmingly majority of the voters, I appreciate the firm stand against the Senate’s wholesale attack on ST.
What’s so special about the 101 that the state singles it out for bonus funding, I wonder? It’s welcome, I suppose, but I’m not sure it’s Metro’s most urgent service need. The vehemence of critics of funding public transit is not that much different than the vehemence of critics of allowing renters to move into their part of town. They show up in force at small meetings, over and over, and on comment threads, but they don’t tend to win elections. As a renter with a day job, I don’t go to these meetings. I also don’t travel down to Olympia much. One former state senator publicly wished that she would see more transit advocates down in Olympia more often. Of course, she had a legislative shuttle to get her between Seattle and Olympia, so she never had to notice how awful the transit connections are between Seattle and Olympia. Funding a grant for people living in Olympia to have an “express” (and I use the term loosely) bus route to Seattle missed a great opportunity to fund it going the other way (but without the gratuitous half-hour diversion to a “park & ride” that is too far away from the freeway that single-handedly destroyed the willingness of many to ride that “express” route). When I come down to Olympia, it is an expensive overnight trip, for which I would have to take two days off work. And so, you’ll probably never see me there. I did try several times to meet with my state senator up here. When he finally agreed to meet with me, he flaked on the meeting, and then didn’t agree to another attempt to meet. At least his staff was profusely apologetic. Now, that guy is running for mayor. If he can’t be responsive to his own constituents in his own district, what kind of mayor will he be?